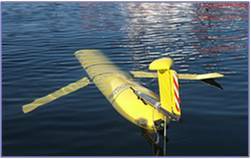 Innovative Workshops - AUVs, Gliders, and Buoys.. oh my.. 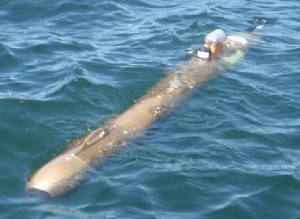 In 2009, in response to a challenge from NOAA to assess the utility of using AUVs, I chaired the development and delivery of a workshop called “AUVs in the Bay”. We gathered 4 AUVs to the Chesapeake Bay Foundation’s facility in Annapolis. The AUVs were assigned an area off of the beach to map. Rutgers, University of Delaware, YSI (Ocean Mapper), and the Naval Academy launched their AUVs, collected side scan data and some water quality data. The day following deployment the data was presented to the group of AUV users, data and resource managers, and a group of high school teachers and their students. Larry Mayer delivered the program keynote talk barefoot. Teledyne RDI kicked in $2,000 to support the inclusion of teachers and their students in the workshop. In 2010. The steering committee decided that we had proven the utility of AUV use in shallow water and now we wanted to show how they could be used in an observation system. With support from the Integrated Ocean Observing System Program NOAA’s Chesapeake Bay office a small observation system utilizing a newly deployed Chesapeake Bay, John Smith Water Trail Buoy, a couple of buoyed water column profilers, a slew of AUVs, a NASA deployed kite, and an automated surface vessel was activated. This workshop was name Bay and Estuarine Sensor Technology (BEST) Workshop. The dynamic data collected y the AUVs was compared to the time stamped information collected by the static buoyed systems. All in all, it was demonstrated that the combined technologies would define observation systems in the future. Unfortunately, the sensors deployed on the AUVs did not necessarily record the most accurate information. AUV sensors got glommed with jellyfish, and a set of the same sensors deployed on the same AUV collected significantly different water quality data. Teledyne RDI sponsored donate $2,000 for the educational component of this workshop which was hosted at NOAA’s Cooperative Oxford Laboratory in Oxford, MD. 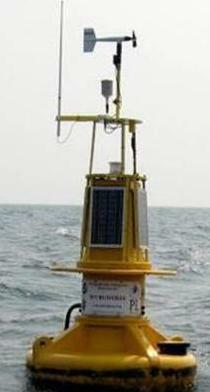 The plan for 2011 is to create a Mountain to Ocean Sensor Technology (MOST) Workshop. This workshop will create a temporary Observation System of buoys and AUVs in the Bay and coordinate the coeval collection of data with Gliders in the Mid Atlantic Bight. We’ll be able to measure the relative levels of Dissolved Oxygen in the Bay and the Ocean in July. At the same time we’re going to look at having some water quality data being collected in the headland waters of tributaries feeding the Bay.